After a month long discussion on everything about Bangalore’s traffic through the prism of the steel flyover and the elevated corridor, we wanted a break. We couldn’t think of a better way to destress than with music. We headed to the Indian Music Experience at JP Nagar to chat with its founders, Dr Suma Sudhindra (who was recently awarded Sangeeth Natak Academy Puraskar for 2017) and Manasi Prasad. Many of us grew up humming along with Julie Andrews that Do come from a deer, Re meant a drop of golden sun… But if you want to know the origins of the “sa re ga ma” the building blocks of our music, then this is a place for you. 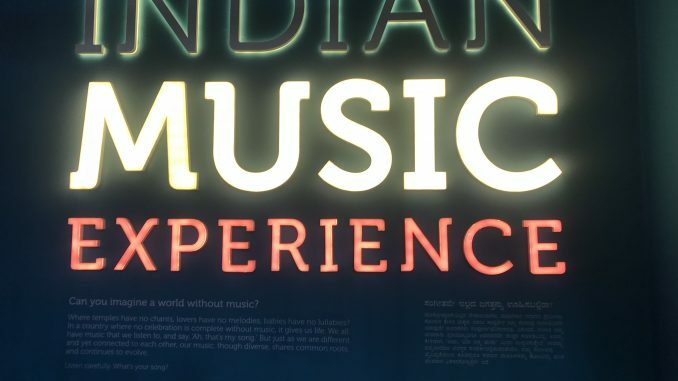 The first of its kind museum dedicated entirely to Indian music. From musical genius of Muthuswami Dixit to the madness of Daler Mehendi’s peacock coat, we’d find it all there. 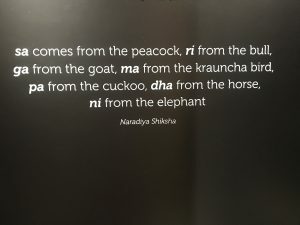 The origins of the notes of Indian Classical music. The Rs 42 crore, ten year long project has been a labour of love that continues to challenge both the artists who say it was a series of conversations that started them on this journey. “There wasn’t one moment in which we decided to come up with this space. We are located at Brigade Millennium which is an integrated living area and this was a civic amenities site. So when we asked about ideas on how best to use it, this idea came up,” says Manasi. “The idea was about people being able to relate. The pop stars, they haven’t come out of nowhere. Their music is also rooted in traditional forms. 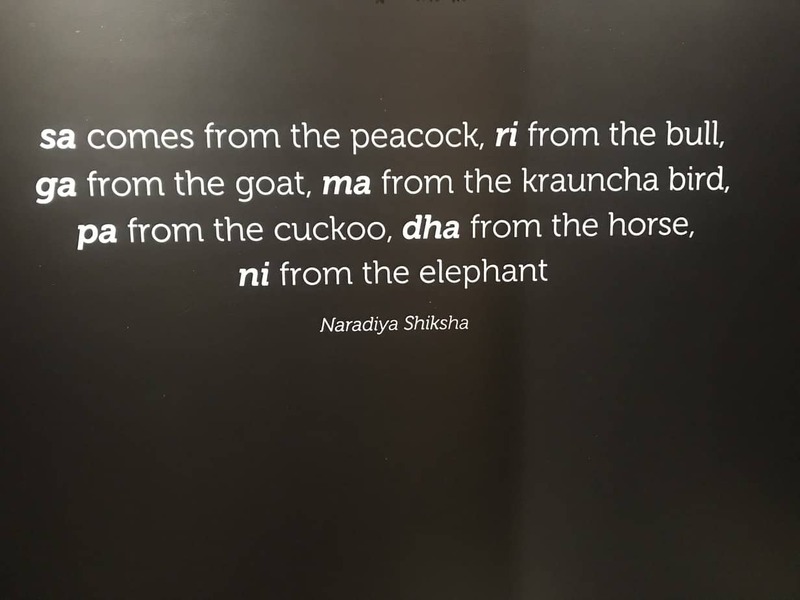 So when people listen to the popular number and are able to related it to a particular raga, that is how this works. When we did our research, were trying to figure out how to present it – we included the lay people who weren’t musicians. If they understood what was being done, then we knew were headed the right path,” says Dr Suma. My own experience as we went around the space was the easy mix of the modern methods with the ancient norms. A confluence of traditional music blended with the future of technology, complete with quirks of watching a pop number in a colourful auto or figuring out what is your pitch – there is something for everybody. 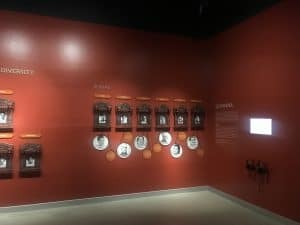 Featuring over 400 artists, the museum also boasts of some priceless artefacts, like Ustad Bismilla Khan’s Shehnai and Pandit Bhimsen Joshi’s silver pan box among others. “These have been the emotional moments for us which has kept us going when it got tough,” says Manasi. When the going got tough, both the ladies accepted there were times where things slowed down, because of financial issues and also agreed that in today’s world, having a corporate backing certainly helped matters. Besides introducing a new generation of possible artists to the beauty of the Indian music, Dr Suma ends it on a poignant note: “We have enough of the younger generation who are interested in our music. But this space is also about educating our audience. We need them,” she says. The space is open for public on all public holidays, and is closed on Mondays.